Today, I give you all of Part III, Kimono of PIty. Look for a new installment soon. Enjoy! And if you like what you see, please see my Flicker in the Porthole Glass page for information on ordering the MAMMOTH Books edition. In general, there’s nothing interesting to see: a block of Spruce Street in West Philadelphia lined with plane trees and the frumpy Chevys, Fords, and Chryslers parked beneath them. Though the sky is cloudless (except for the wisp of vapor forming itself into the shape of those fluted ashtray stands they used to park around the lobby of the Milner Hotel), there are few people trotting the walk. And not one of them trips over the slab that’s been pushed up from below by vigorous roots. A station wagon, maroon, which if it weren’t so bloated looks as though it might have been made in some industrial backwater (Bulgaria, maybe), wafts by in a cloud of chugging exhaust. Not surprisingly its bumper is held on with several twists of rope. 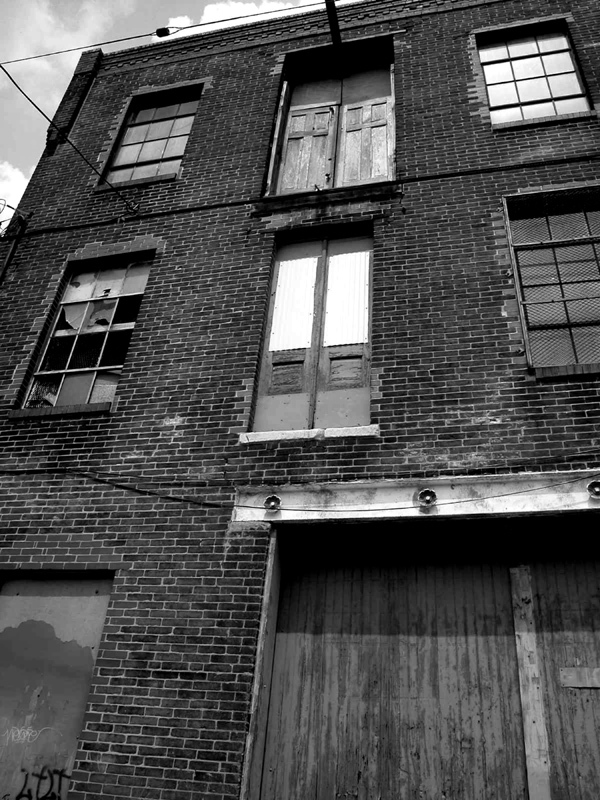 A figure appears in the doorway of the apartment building at number 4529. Black jeans, heavy boots, white shirt with sleeves rolled above the elbow: it could be anybody. But it isn’t anybody, this time. Naturally, it’s Ruineux. Yawning, scratching himself, puffing dramatically on a cigarette as he scuffs out to the sidewalk, he pauses long enough to eye the mutt that’s just popped onto the walk from between two of the parked jalopies. The mutt stops too, looking up at Ruineux, panting that lazy pant children often call a “smile” and which Ruineux, I’m sure, still does. Evidently the mutt, as mangy strays so often do, has appealed to Ruineux’s sense of the cute. Good doggie. Throwing his cigarette aside, he bends down to pet the flea-ferry which responds with a sneaky lip-lick from which Ruineux recoils. Offended, he wipes the mutt juice into the shoulder of his shirt while doggie wanders off happily down the sidewalk. If I didn’t already have a headache, the thumping banality of all this would certainly give me one. 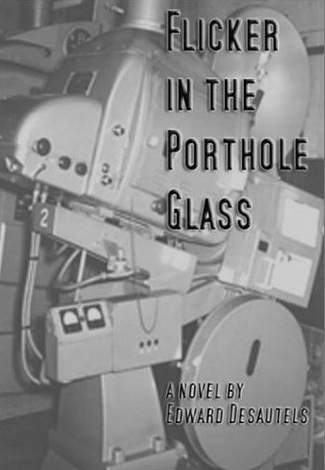 For more information about Flicker in the Porthole Glass, and to read installments I – VII, see the Flicker in the Porthole Glass page.